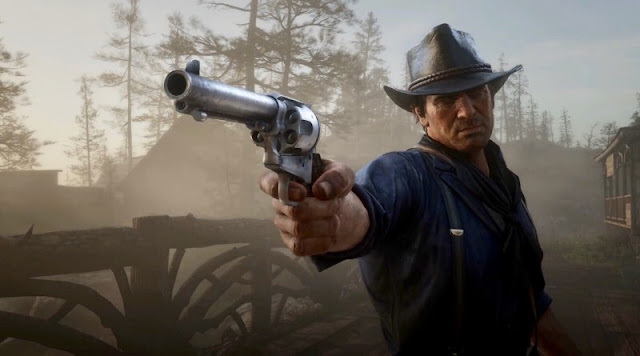 I try to avoid offering opinions and synopsises for games I haven’t played, as such posts quickly descend into conjecture, regurgitation, and far too many could, possibly and maybes. Although this limits my choice of subject matter, it does serve to prevent me from reviewing games I’ve only imagined playing and plagiarising better writers than I. However, for Segagaga I’m willing to make an exception. Segagaga (SGGG) was a Japan only release in 2001, an exclusive for the flagging Dreamcast. I have not had the pleasure of playing it, but during my next trip to Tokyo - pencilled-in for this September to coincide with TGS - I intend on purchasing the box set edition of this Dreamcast era mash-up. This dolled-up version hovers around ¥8,000 (£60/$100) and comes with a t-shirt, branded organizer and a set of delightfully useless SEGA console badges. But what exactly is Segagaga, other than a spell-check nightmare? SGGG is a SEGA Simulation; a loving, and tongue-in-cheek look back at the history of SEGA - a parody of its increasingly dire fortunes circa 2001 and one of the most unique and self-referential games known to man. Set in Tokyo in 2025, you are recruited by SEGA and given the unenviable task of saving the company from the despicable DOGMA (Sony) who dominates the market to the tune of a 97% share. With the help of a number of iconic characters, you must reverse the fortunes of your flagging employer by rolling-up your sleeves and doing the dirty work. It is a commentary on the rigors of the development process and the nature of the console industry as a whole, and reflects the Dreamcast's losing battle with the PlayStation 2. An RPG at its core, it features a variety of gameplay styles and offers countless mini-games and easter eggs to delight the faithful. The animated cut-scenes are eye-catching and feature a number of SEGA characters old and new such as Sonic, Samba de Amigo, Ristar and those weird bird-like creatures from Golden Axe. You even get to work alongside Alex Kidd, SEGA’s second and now forgotten mascot, who has been relegated to a retail clerk. He opines his fall from grace at the hands of Sonic the Hedgehog, in a moment as touching as it is ludicrous. SEGA is well known for having a laugh at the expense of others in its advertising campaigns, but it has also shown a willingness to poke fun at some of its own failures. This has never been more evident than in SGGG, which openly parodies the failure of the very console on which it featured and the success of the competition (PS2), making light of a situation that brought the company to its knees within six months of SGGG’s release. Given the circumstances, it’s hard to fathom how and why it was green lit, and predictably the story of its development is almost as intriguing as its plot. It is said that when director Tez Okano first presented the concept to management they misconstrued it as a rather entertaining joke. It wasn’t until the second time of asking that Okano was taken seriously and awarded a development budget, which he describes as being a hundredth of the cost of Shenmue. Even with his war chest assured, he kept the development as secret and low-key as possible, for fear of the project being ridiculed and cancelled, relying on a small team who shared his passion and vision. He was rewarded for his hard work with a marketing budget of $200, half of which he spent on a wrestling mask to hide his identity at press events. For lots more on the unusual history of SGGG, I highly recommend checking out this old interview with Tez Okano over at Edge. Initially distributed exclusively through SEGA’s online store, it attracted enough interest to warrant a limited retail release. 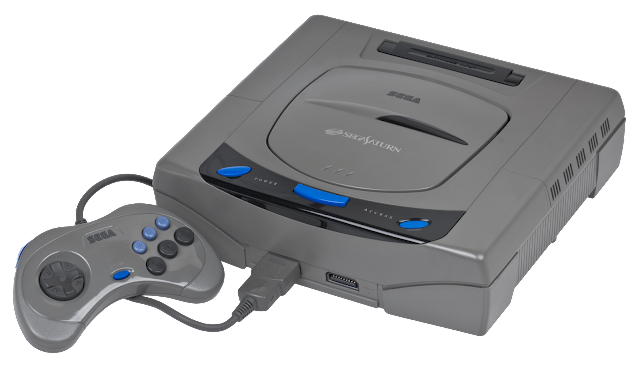 It was a rare bright spot in the last days of SEGA the console manufacturer, and it has maintained a cult following since. It’s easy to see why, as SGGG demonstrates the style, risk taking and innovation that made SEGA great, as well as taking the piss out of the countless miss-steps which contributed to its ultimate downfall and rebirth as a third party developer. SGGG stands as one of the most unique games ever made – the product of a company with nothing left to loose, the like of which we are unlikely to see again. Unless, that is, Sony suddenly get a sense of humour and parodies recent events with the PSN Hacker Simulation, but I just can’t see it. 1. Aside from SGGG, there are two other games already on my shopping list for Japan. The first is Treasure's Silhouette Mirage, on the Sega Saturn, which I only became familiar with very recently. A side scrolling action game, it displays many of the enviable qualities of Treasure's other late 90's classics, and I have no idea why I hadn't stumbled upon it before now. The other is a more modern game - Ryū ga Gotoku Kenzan! (Yakuza Kenzan) for the PS3. A spin-off of the Yakuza series, its transports Kazuma's likeness to Kyoto in 1605 and features all the goodies we have come to expect from the series, only in Edo Japan, and with lots of sword-play to boot. Its highly unlikely that, three years on from its initial release, it will ever come out in the West, so i'm prepared to struggle through it, armed with my Japanese dictionary. 2. New details have been released for the next Assassin's Creed, Revelations. The final part of Ezio's trilogy, it is set in Constantinople/Istanbul during the years of the Ottoman Empire (one of the locales I suggested in a post earlier this year about the possible settings of the next AC - I'm sure that's where Ubisoft got the idea!). I'm happy to see another AC on the way, though I was hoping for AC3 and a new character. As much as I like Ezio and have enjoyed his story, I feel like I am ready for a new face which, unfortunately, it would appear we wont be getting.